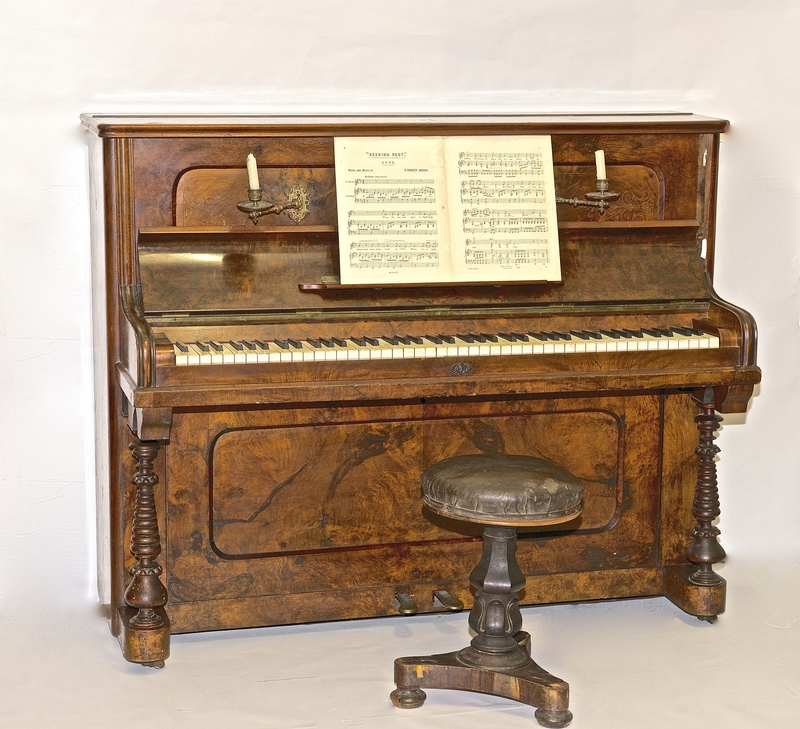 The piano is a small upright piano made in the 19th century by A.H. Francke of Liepzig. External condition and detailing is good, with candle holders and carved legs all undamaged. The keys are all still intact, however the piano’s internal works are damaged. It is wood veneer (maple?) and has a very attractive warm patina. The piano is significant in having belonged to William James Farrer and his wife Nina. William Farrer is known for having developed the Federation strain of wheat which was resistant to rust which was a significant problem with the strains then available to the colonial grain growers. Nina was the daughter of Leopold Fabius Dietagan Fane de Salis (1816 – 1898) an important pastoralist and politician, who purchased the pastoral property Cuppacumbalong in 1855, and was elected to Parliament for Queanbeyan in 1864. After 1893 till his death in 1898 Salis lived with Nina and William Farrer at Lambrigg Station on the Murrimbidgee River. The piano is connected to a significant family/ies in the early history of Queanbeyan and to Queanbeyan Museum, in its association of place, Nina’s father having been a Magistrate since 1844 and the Old Police Sergeant’s Residence being the only building left out of the complex of Government buildings that stood here: the Courthouse, police station and Post Office. The Museum is connected to local commemoration of Farrer, being situated in Farrer Place which contains a bust of Farrer sculpted by Rayner Hoff.